Smartlox Edinburgh can supply and fit new and used safes that comply with all insurance requirements. We also change combinations and recode electronic safe locks. We also can copy high-security safe keys; please note that copying any safe key will require a letter of authority. We supply and fit various brands of safe including Chubb, Dudley, Security, Burton, SMP, Phoenix, SLS, Rosengren, Fichet and all other major brands. 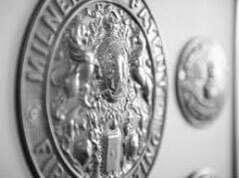 We also maintain and service all types of safes and offer an Emergency Safe Opening service for all kinds of security safes from old antique safes to brand new high security graded safes using specialist techniques to avoid any damage.We specialise in opening older safes including Chubb, Milner, Tann, Hips, Sam Withers, Carron, Cox, Ratner, Chatwood and many others.We have opened safes for Major High St Shops and Banks, Police, Scottish Office, Scottish Parliament, and various other commercial and private clients. This is the most important part if you intend to keep valuables, and you wish to insure the contents you must consult with your insurance company. They will determine what level of security safe you will require to be covered by insurance. If you do not intend to insure the contents the choice is up to you. We have been called to many jobs where I have seen many safes containing significant amounts of cash and valuables that are wholly inadequate; ask yourself why you can buy a small electronic safe for less than £100 from the local DIY shop and expect it to be secure. Most burglars armed with a few basic hand tools could force open all the safes that are sold by the local DIY shop within minutes, robbing you of family heirlooms and savings. Locking systems can vary from single keys to electronic keypads to more advanced biometrics; it’s a personal choice but the more complicated, the more expensive. Help! I’m locked out of my safe! If the worst happens, and you cannot get into your safe simply call us, and we will get it open for you Some safes can be opened very quickly, and some can take longer, it all depends on the security level and safe. Do not attempt to force a safe open yourself as they are designed to resist attempts to cut, burn or smash your way in, in fact, security devices in good quality safes will simply lock the safe further making our job trickier and more expensive. We have opened many safes when relatives have passed on and have not left keys or combinations, and family members have turned safecracker only to destroy entire valuable contents and sensitive documents in the process. 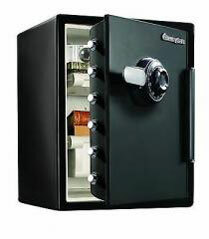 We have no interest in what is contained within your safe, we simply open it, and provide a very discrete service. Contact us now for a FREE QUOTE. We may require additional information from you such as photos of the safe for identification and makers names or serial numbers.